Manchin – Mostly ban. Lifelong abortion opponent, but recognizes that Americans are divided on this. Voted for bill prohibiting abortions after 20 weeks & opposes any public funding. Morrisey – Ban. Overturn Roe v Wade, stop “the pro-abortion agenda” in Congress & legislate nationwide restrictions similar to WV’s. Climate Change: Limit or tax production of greenhouse gases? Support renewable energy? Manchin – No to regulating greenhouse gases: “No one is going to stop using fossil [fuels] for a long time.” But required WV utilities to get 25% of energy from renewable sources by 2025. Morrisey – No to regulating greenhouse gases. Led states suing to overturn Obama Clean Power Plan. Opposed renewable energy mandate in ad against a primary opponent. Manchin – Yes. Voted for bill to reverse ACA mandate for contraceptive coverage in order to safeguard religious liberty. Morrisey – Yes. Strong advocate for religious liberty. Manchin – Yes. Supports infrastructure investment. Morrisey – Yes. Supports infrastructure investment. Manchin – Yes. Supports the tariffs 100%. Historically, trade deals have not been good for WV. Morrisey – No statement found. Education: Supported West Virginia teacher’s strike? Morrisey – No. “Breaking the law does not set a good example for our children.” Threatened an injunction. Manchin – Opposes personally, but accepts as settled law. Morrisey – No. “Disappointed” with legalization. Manchin – Opposes restrictions in most areas. Opposed banning semi-automatic weapons, but supports background checks for gun show or internet sales. Morrisey – No. Will keep hands of “gun grabbers” & “Washington liberals” off of American guns. A+ rating from NRA. Manchin – Needs improvement, but supports its preventive care, protections for pre-existing conditions, costs of prescription drugs, & support to fight opioid epidemic. Unacceptable to go back to when 250,000 West Virginians went without healthcare. Morrisey – Repeal. Joined lawsuit that would end coverage of preexisting conditions. ACA has “utterly failed our country & West Virginia,” causing higher insurance premiums, & leading businesses to drop health care coverage altogether. Healthcare: Should the Federal government support miners’ pensions & health care when companies go bankrupt? Manchin – Yes. Spearheaded bill to fund health care benefits & pensions for union miners. Immigration: Support DREAM Act (DACA), allowing “Dreamers” who arrived illegally as children, to achieve legal status if meet certain conditions? Manchin – Yes. Member of bipartisan group who proposed legislation to give Dreamers path to citizenship while allocating $25 billion for border security. Morrisey – No. “Lax immigration laws pose a security risk to our homeland.” Joined lawsuit against DACA, calling it an unlawful, unilateral Obama action. Iran: Support Trump’s withdrawal from treaty limiting Iran’s nuclear capability? Manchin – Yes. Supported 2014 bill to increase from $7.25 hour to $10.10 hour. Manchin – Yes. Voted to overturn FCC repeal of net neutrality. 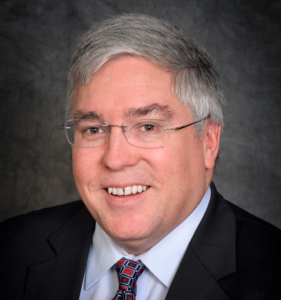 Morrisey – Took no stand after Democratic legislators requested he support net neutrality. 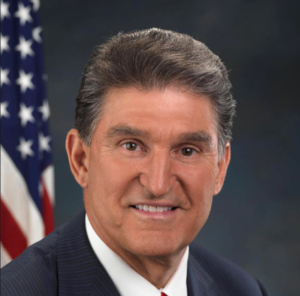 Manchin – Voted 61% in support of Trump positions as of August 2018. Manchin – No. Supports expansion. Student debt: Refinance existing student loans if lower rates exist? Support income-contingent loan repayment? Support & expand Pell Grants? Manchin – Yes. Introduced bills to refinance at market rates & to limit repayment to 15% of income. Signed on to support & strengthen Pell Grants. Morrisey – Unknown. Reached settlement with for-profit online education company to forgive student debt.